Cloud computing is quickly moving from marketing idle talk to concrete business strategy: governments, individual organisations and industry bodies are rolling out and testing cloud-based services in growing numbers. But there remains a wider set of questions behind the technology trials. CIOs have to respond to the impact that the new ways of delivering IT possess on their organisations and moreover their roles as managers. IT chiefs discussed these questions with an audience of IT and business executives while silicon.com’s recent speakeasy event in London. As IT director at Hachette Filipacchi UK, Nic Bellenberg supposes cloud computing possesses two sides: the positives of agility and the negatives of hype, security and cloud-washing fears. CIO at World-Check, Stephen Potter supposes that the idea of having scalability, elasticity and flexibility delivered as a service and may be a key differentiator. There is also the influence on the everyday role of the CIO and the activities of the IT department that should be taken into consideration beyond the technical potential of cloud computing. For the CIO as Potter said the reality of life 2 or 3 years ago might have turned around the CRM system or email and now it is not an issue any more. He said that no him neither someone of his team think of that any more. He spends a lot of his time thinking about IT which may lead the business forward that is exactly what he should be doing. This shift is in emphasis and the types of jobs delivered by an IT department will get an impact on workers. Potter believes that for the IT department on the whole cloud is truly and really a disruptive innovation. It will be a change in the role of the CIO and Potter also added that in future the IT department will be structured that really changes the CIO’s role. Part of that change is to make with approach and emphasis. For some IT workers, this emphasis will move from overseeing the performance of a technology that keeps the email servers up to ensure that the business has access to the necessary services. Will be the private cloud the answer? Private clouding – where companies profit from automation, service-oriented architecture and virtualisation to make a scalable and flexible pool of shared but interior computing resources have got some interest for recent time. That interest is being tempered, particularly in the financial services industry, through security concerns, according to Potter. His personal view is that the financial services collide with a great challenge which cloud has to see and that it will be a challenge that will be conquered and private cloud is shifting to the way to overcome it. What do CIOs expect from cloud providers? 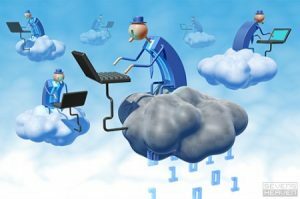 As cloud computing emphasises the advantage of delivering computing as a service that denotes IT department is not required to be involved with upgrading and maintaining of the principal service. It doesn’t mean that CIO’s don’t like to know about the details. Transparency is really one of the key requirements. According to Bellenberg they have to know the way these services are run and the way they are delivered. He also added that audition and accreditation are part of this as well. IT chief are being cautious about the way to exit cloud relationships.